Although most of my collection involves the beautiful and unique postcard details I like to play with and use the geometric shapes that have developed from my designs. 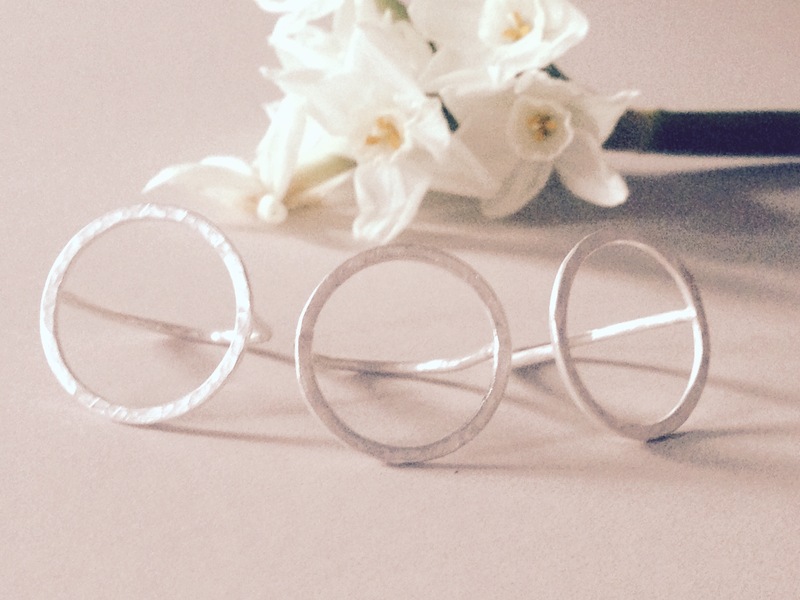 Creating these elegant and simple pieces allow me to offer a more wearable and affordable range of jewellery which is important to me as a designer. 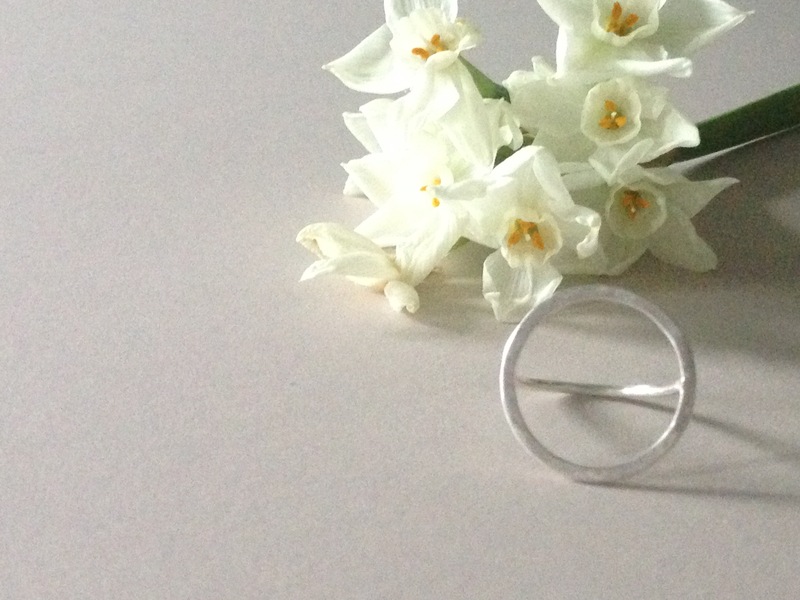 These rings are available to buy. Please follow the ‘shop’ tab to my online store. 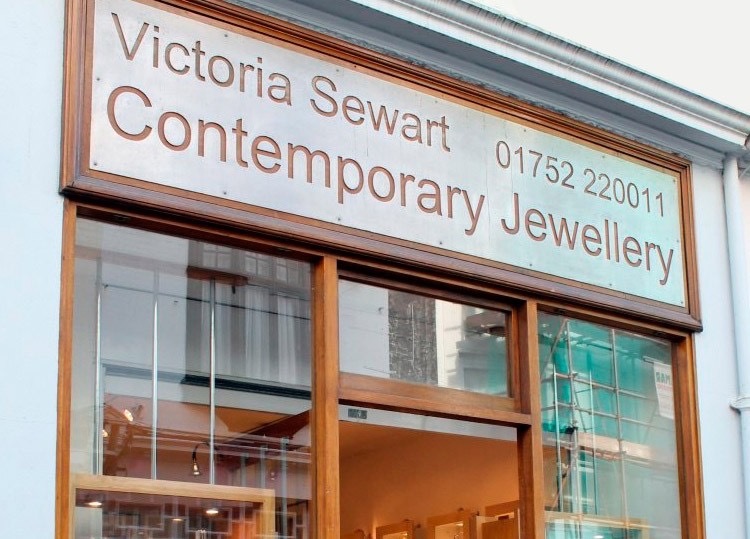 Really excited to be showing again at Victoria Sewarts Contemporary Jewellery Gallery on the Barbican, Plymouth. Working on your Valentine’s orders today. I’m a bit addicted to these time lapse videos at the moment! 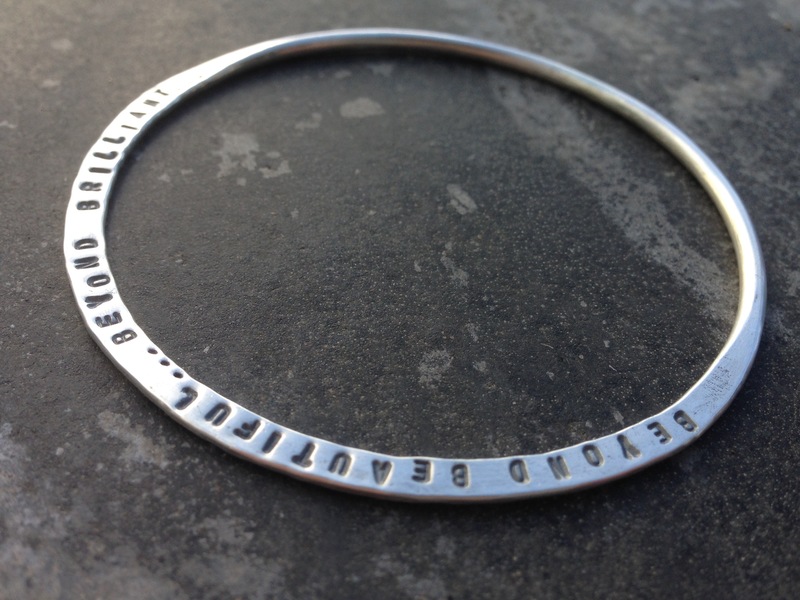 Your own words stamped into a silver bangle, here’s a sneak peek of how I do it! 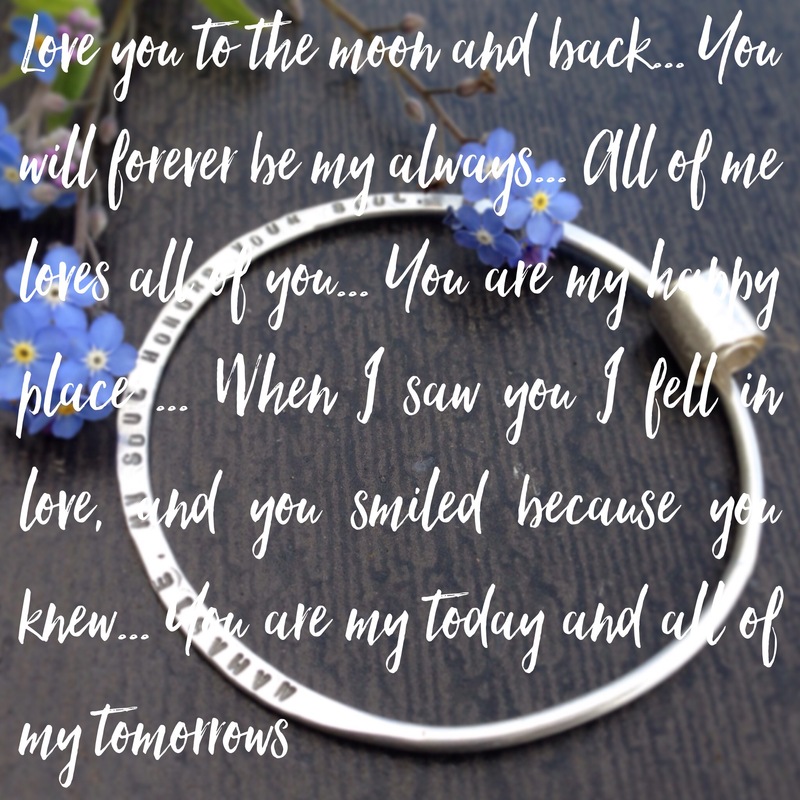 Here’s a few ideas but we can stamp anything on your personalised bangle! It can be completely unique to you and your true love, or friend or even yourself!! 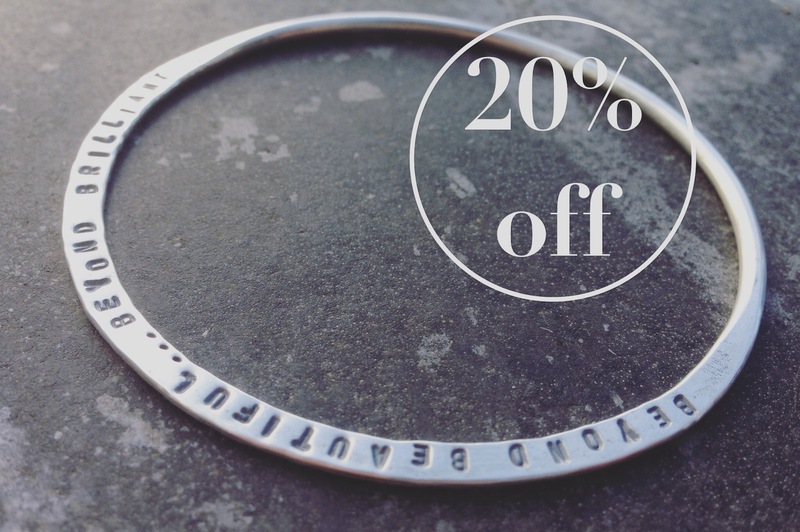 A Valentines treat for your true love… 20% off my personalised message bangles. Normal price £45 Valentines price £36, yay! Made to order with your own words. 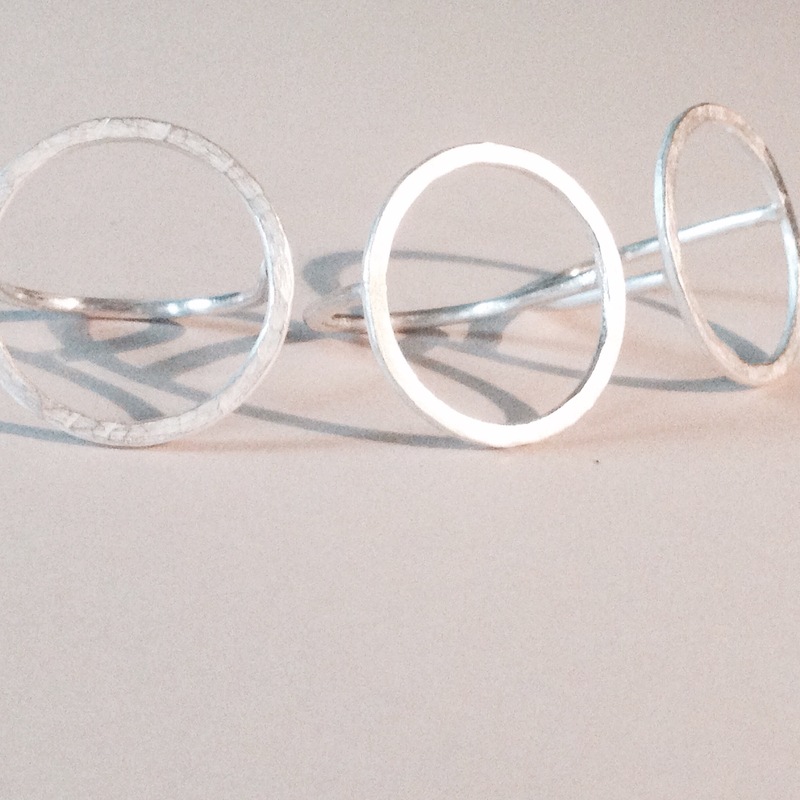 I was recently asked to create this Bangle as a birthday gift for the customers wife’s special birthday. I love to be able to create these one off pieces for people to give as such a thoughtful and sentimental gifts. I make these bangles for you with your chosen words or come to my workshop for a 2 hour lesson where you will make the bracelet from start to finish. 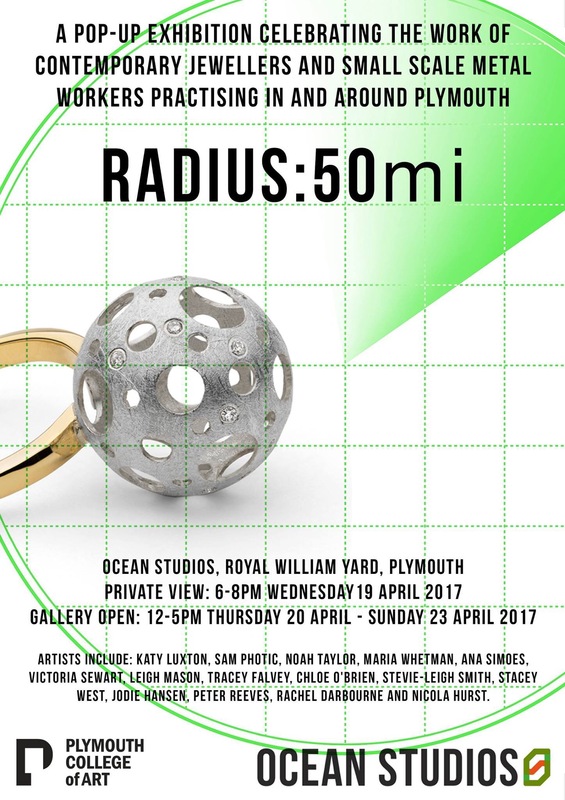 For more information on the workshops please go to the WORKSHOP tab or email me chloeo_brien@hotmail.com. New work shots by Photographer Georgie Crowe. We wish you a Merry Christmas! What a fantastic Year we’ve had at @meandeast in the shop and with the events we’ve organised and attended. Max and I want to say a big Thanks for all your support, encouragement and kind words. Also a massive thanks to all our makers for making such awesome products and being so unique! 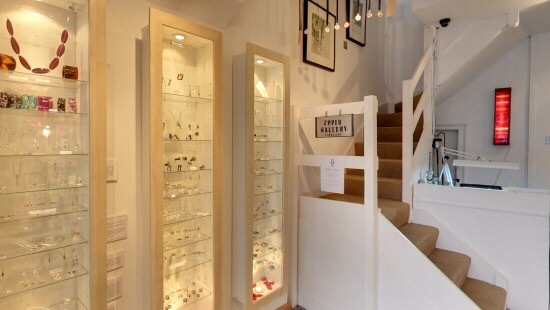 Have a wonderful Christmas and we look forward to seeing you again in 2019. . . We’re open 28th + 29th 10.30 - 5pm then reopening after a little break on 9th Jan.